What to choose if both devices have the same affordable price and proven producers? 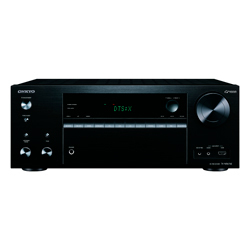 The test Onkyo TX-NR676 vs Denon AVRS730H is initiated to answer this question. After the test of Onkyo TX-NR676 vs Denon AVRS730H, I assume that the main difference should be mentioned first. Denon AVRS730H has Audyssey MultEQ for the fast and easy calibration of the system to the room and your personal preferences. 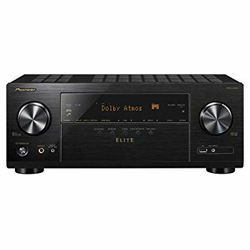 Onkyo TX-NR676 uses AccuAQ tech that is slower in comparison with Audyssey. However, Onkyo TX-NR676 has got something to brag about too. It’s greater total output power and Google Home compatibility that let you use other smart devices in the house to control the A/V system. 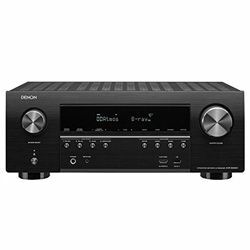 If to compare the number of HDMI inputs and outputs, Onkyo TX-NR676 has two more than Denon AVRS730H has. In addition, it is not possible to connect turntable directly to Denon AVRS730H because it has no phono input. As for the Denon’s attractions, it is easy to set up – it takes half an hour maximum. Just set up the included mic to optimize sound settings for the different parts of the room. The Denon AVRS730H’s USB connection is on the front panel, unlike the Onkyo TX-NR676’s rear connection. 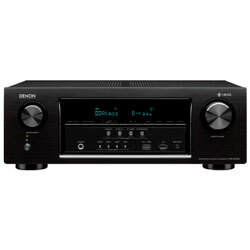 Otherwise, the design is typical either for Onkyo and for Denon – a black box with the large volume button on the right and the LED display in the center. The remote is well designed and easy to use; it is not bloated with plenty of miniature buttons. Built-in Chromecast works extremely well, has a quick connection time. No Dolby PRO Logic II decoder. The firmware update can fail the download for the first time so sometimes it requires a restart. Has a built-in Internet tuner for receiving Spotify and Pandora, so there is no need in a separate internet radio. The speaker and HDMI inputs are very well identified that make it easy to change or add wiring. No screen display while viewing the 4K content. Lack of Alexa link for anything other than HEOS.